Euro is still consolidating. Earlier the price rebounded from the upper levels, but the ears are in no hurry to start a deep correction. The main target is still at the level of 38.2%. 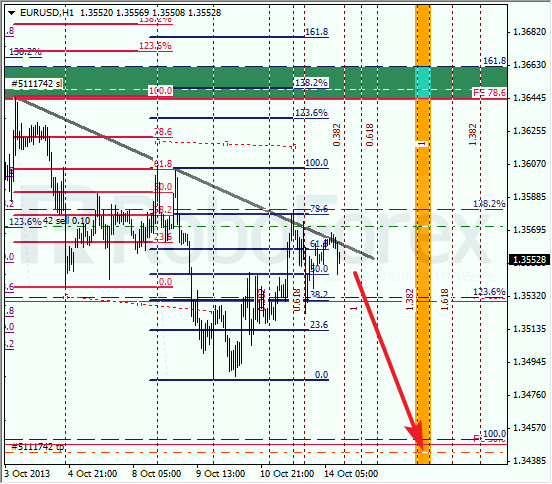 At the H1 chart, the pair rebounded from the trend line again. The current correction reached the level of 78.6%. 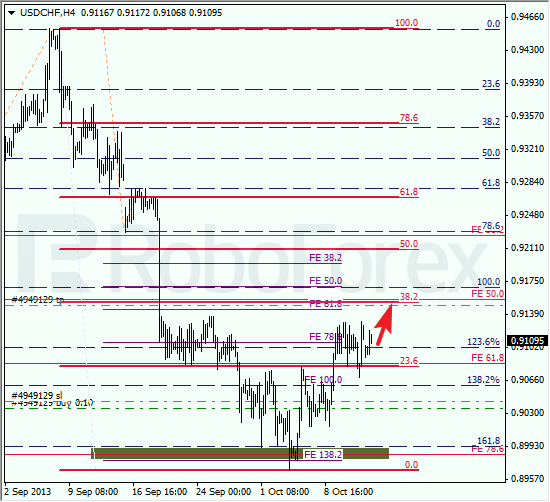 According to the analysis of the temporary fibo-zones, the predicted levels may be reached by Wednesday. After rebounding from the lower levels, Franc started a correction. The first target for the bulls is the level of 38.2%. If later the pair breaks it, the price will continue growing up towards the level of 50%, or even 61.8%. 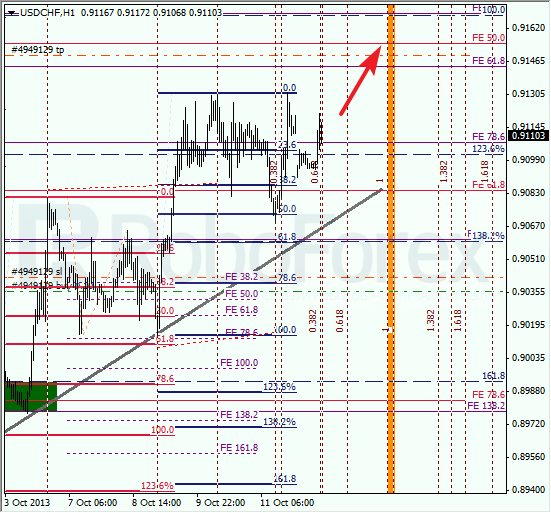 At the H1 chart, the price is consolidating. We can’t exclude a possibility that Franc may break the maximum during the next 24 hours. According to the analysis of the temporary fibo-zones, the predicted levels may be reached within the next couple of days.